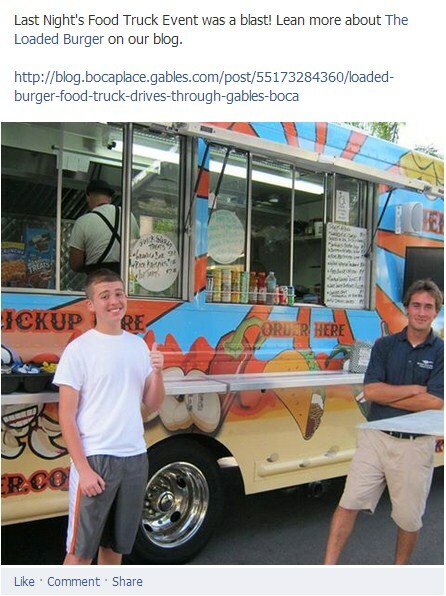 This morning I went to post a link to a blog post about a Food Truck and I noticed something interesting about posting on Facebook. 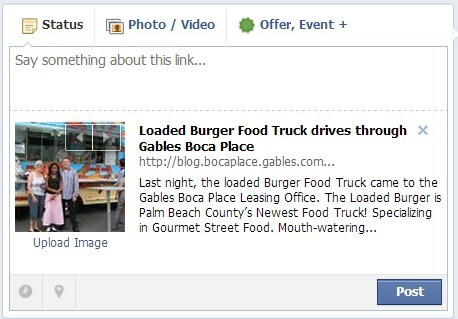 Facebook normally automatically populates a thumbnail for you, drawing on text and photos from the article or link. What if you don’t like the photo? At the end of this post, I’ll give my recommendation on the best type of post to use. 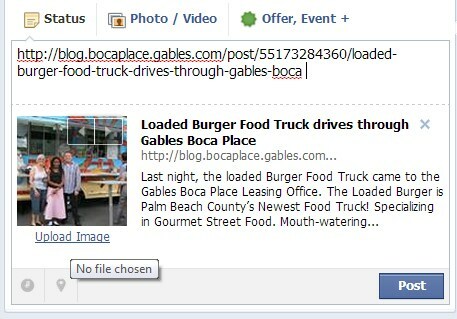 Facebook will automatically create a thumbnail when you paste a link. 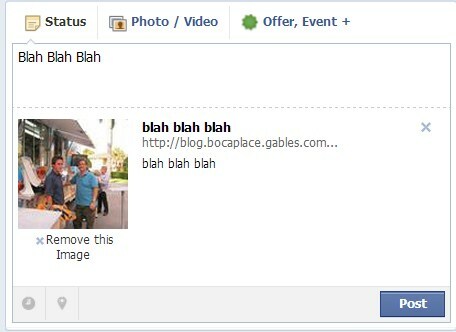 Now you can upload your own imageВ for the thumbnail. 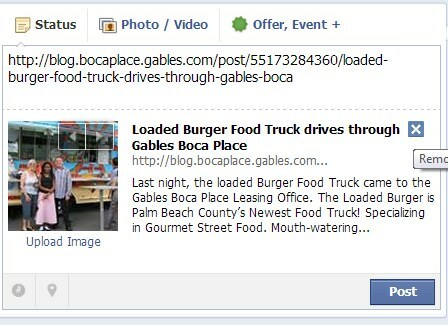 After pasting the link, click the “Upload Image” link and you can add your own thumbnail photo. 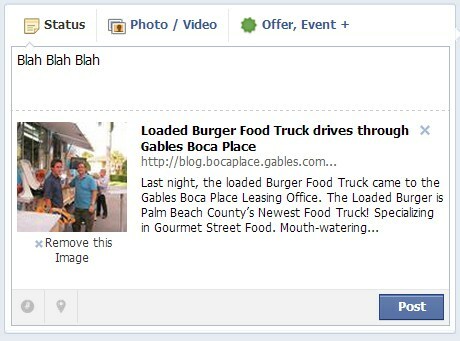 There is actually quite a bit you can modify when posting a link on Facebook. Keep reading to see what else you can do. You can delete the URL and the thumbnail, title and description will stay. This will allow you to add any additional text. If you don’t delete the link, you are essentially posting it twice. Get ready to have your mind blown. You can also delete the populated thumbnail, title and description and post the link.. You can also add your own description and a large photo.В How do you do this?В When you post the link, you’ll see an X in the right corner, clicking that will just leave you with the link. You can now upload a photo by clicking Photo/Video. You can also skip pressing the X and go straight to uploading a photo and you the populated info will also go away. And Finally, this is myВ recommendationВ for how to enhance your posting on F. As you can see, the image is large, engaging and it’s clear that there is a link to be clicked. What do you think? Did you know about all these tricks? If we missed any, let us know in the comments.